Are you looking for a nice handwriting? I would like to introduce to you such a typeface, it is beautiful and professional. You will like it, add it to the fonts collection for your work. 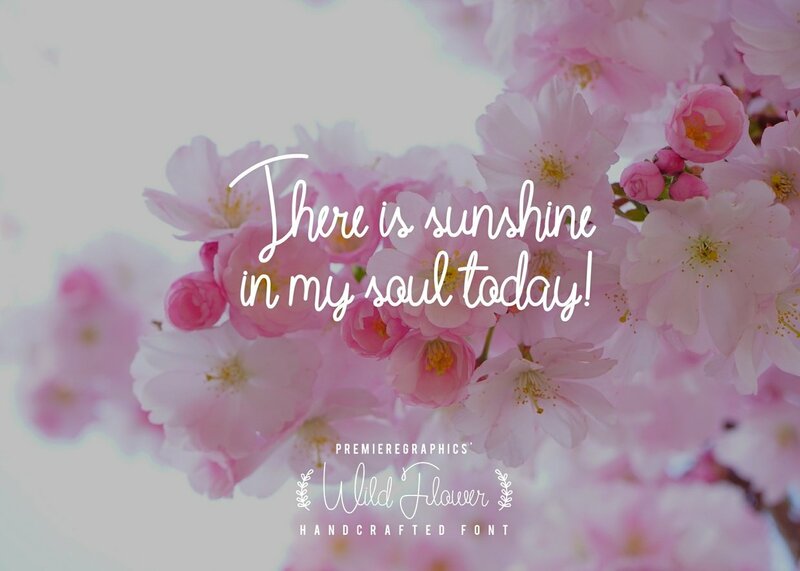 Introduction Wild Flower Script Font! 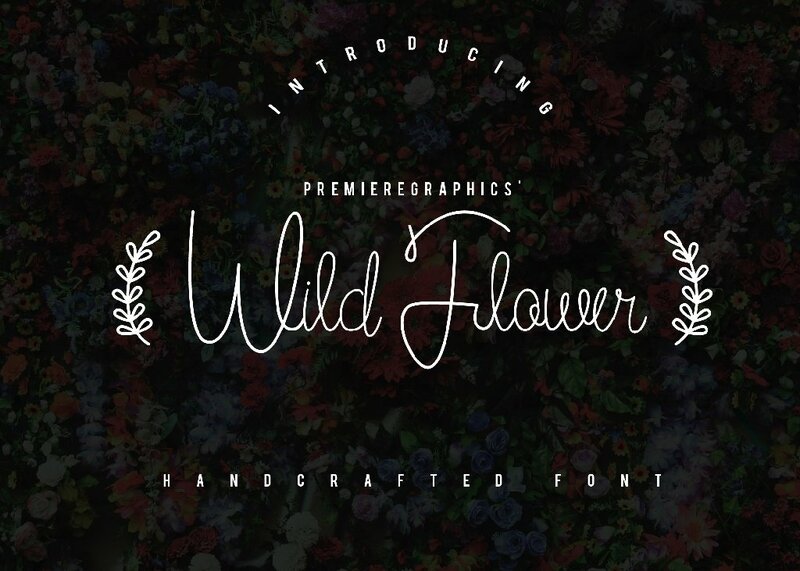 Wild Flower Script designed and shared by PremiereGraphics. 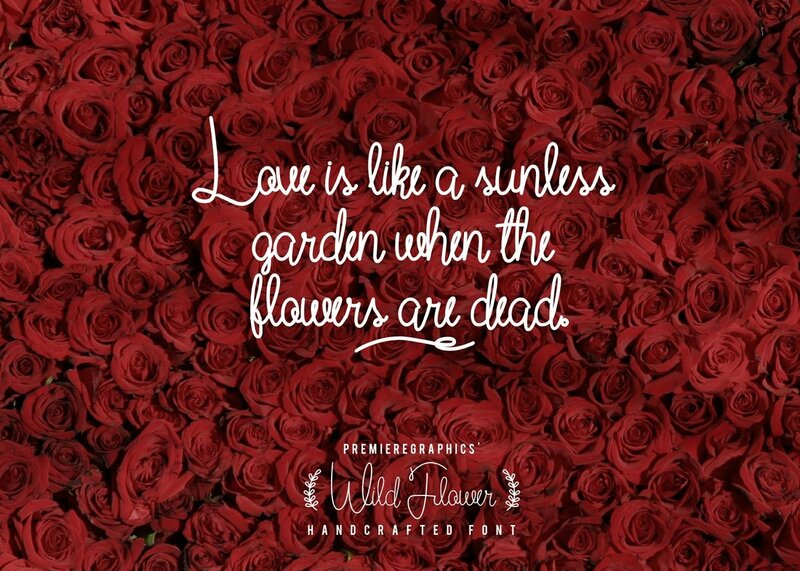 Wild Flower is a new script that is beautifully handwritten! 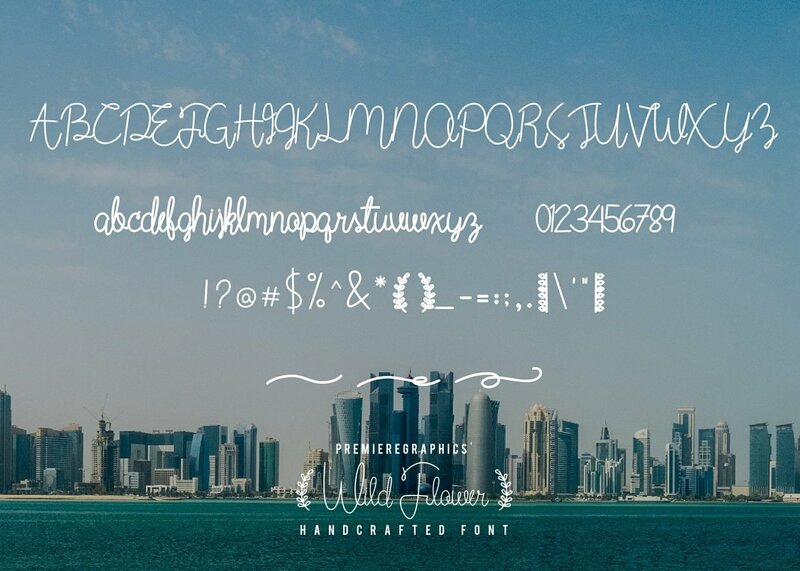 This font is great for photos, for blogs, for logos and brands, etc. This is available for commercial use with its complete set of characters and underlines.